Joaquin Phoenix is finally letting us all in on the joke. 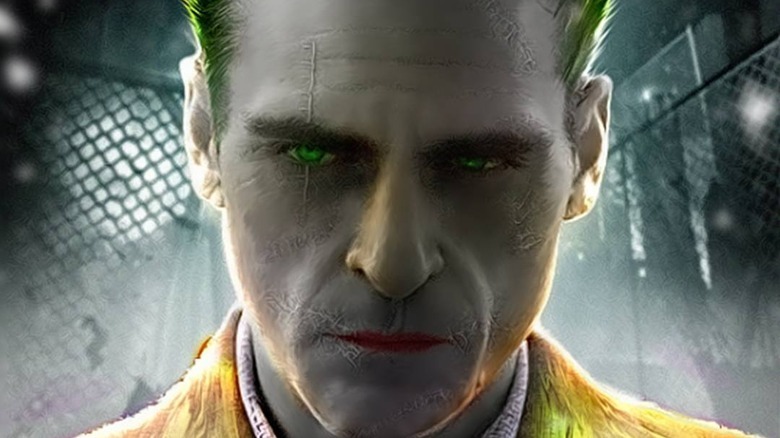 Once just an outlandish idea, Joaquin Phoenix's grounded, lower-budget origin movie for the DC Comics villain the Joker has gotten an official greenlight from Warner Bros. With the movie revving toward production, the actor is finally breaking his silence about his motivations for taking on the role. Speaking in an interview with Collider, Phoenix broke down his motivations for joining up with the unorthodox comic book movie, which he previously played coy about being a part of. In particular, the actor said that the movie's premise struck him as the realization of an idea that he had himself, independently, several years ago. "Three or four years ago, I called my agent and said 'Why don't they want to take one of these characters and just make a lower budget film about it, a movie but a character study, and why not take one of the villains?'" Phoenix said. "And I thought, 'You can't do the Joker, because, you know, it's just you can't do that character, it's just been done.'" "So I was trying to think of other characters, and he said 'I'll set up a general meeting with Warner Bros.' And I said 'I'm not gonna go, I can't go to a general meeting,'" Phoenix continued. "So I completely forgot about it, and so then I heard about this idea, I was like, 'Oh that's so exciting, that's the kind of experience I wanted to have, with a movie based on a comic character.' I felt like you could get something on screen." Phoenix's Joker, if you haven't heard by now, is being developed in tandem with another solo Joker movie starring Jared Leto's version of the Clown Prince of Crime. One, the Leto one, will be set inside established DCEU continuity. The other, Phoenix's, will be a standalone movie that he says will be more genre-blurring than the typical "superhero movie" that audiences might have come to expect. "I wouldn't quite classify this as like any genre," Phoenix said. "I wouldn't say it's a superhero movie, or a studio movie or a… It feels unique." Existing outside of the Justice League-centric DCEU continuity, Phoenix's Joker is expected to be released under a new DC Films banner, reportedly to be called something along the lines of "DC Dark" or "DC Black". Which… alright, sounds gritty! Reminds us of chocolate bars and soda brands. Anyway, they've still got time to come up with something. From how things stand right now, it's looking like we're going to see Phoenix's take on the Joker first, as the Leto production is still in the process of looking for a director. Should the Phoenix Joker do well, it'll certainly spark a whole shift in how WB/DC — and maybe even the other studios — approach the voluminous libraries of comic book characters that they have access to. If audiences prove to be down with multiple versions of the same character existing on screen at the same time, then Phoenix's Joker movie might usher in a whole new era for the concept of the shared universe on screen. On the other hand, if the movie fails, it'll be an endlessly interesting hiccup. Suffice to say, it's all intriguing. As Phoenix's Joker project heads closer to production, Warner Bros. and DC Films have no less than five other movies involving the character being cooked up, all of them essentially being fail-safes in the event that this movie goes south. If this alternate universe, character-driven Joker movie lives up to its potential, then — as Phoenix points out in the Collider interview — we really might have something special going on here. "I think, underneath the excitement of these films, and the size of them, there are these incredible characters that are dealing with real life struggles," Phoenix said. "And sometimes that is uncovered and exposed, and sometimes it isn't, and so I always felt, like, there were characters in comics that were really interesting and deserve the opportunity to be kind of studied." Joaquin Phoenix's Joker movie, directed by Todd Phillips and written by Phillips and Scott Silver, is anticipated to be in theaters as soon as 2019 — late 2019, more likely than not. For more detail, you can check out the actor's full comments over at Collider.